Wing Chun is one of the most popular styles of Chinese kung fu, in fact it is one of the most widely practiced styles in the world of martial arts. It is a style that specifically focuses on close quarter combat therefore it has a lot of hand techniques and is one of the only martial arts styles that was developed by a woman. Part of its popularity is largely due to the late, great martial artist Bruce Lee who studied this style under the guidance of Grandmaster Yip Man. It is also very popular because it uses the opponents strength and size against them, thus you don’t not need to be very big or strong to study this art form. One of the unique area’s of this style is its economy of movement, using simultaneous block and attack movements which makes Wing Chun a very fast martial arts style. In this post I will be discussing one of the key pieces of equipment in Wing Chun known as the Muk Yan Jong, other wise known as the Wooden Dummy. Some practitioners of this style prefer to focus on two man block and counter techniques. these are specific drills that will improve your speed timing or reactions. Chi sau is probably the most practiced drill. When translated it means ‘sticking hands’ or sensitivity training. Some may choose to spend their time on random attack and counters to prepare them for real fighting. The Wing Chun dummy is used for many reasons not only for the development of skill but also for developing the body and mind. The mind learns to be focused and fluid, in order to remember all the different techniques and specific sequences. Over time, your memory will also greatly improve as the amount of techniques you learn increases. Awareness of your self and techniques elevate to a higher level, so therefore the more you practice all the different movements the more elevated your skills become. Before I get into the different reasons for using the Wing Chun dummy I would like to point out that no matter what aspects of training or skill that you decide to use the Wooden Dummy for, there are two main ways in which to use all the different elements. 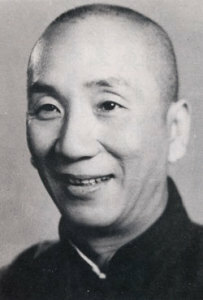 The first is being very relaxed as Wing Chun is a very relaxed fast and fluid style. This will help you to be very elusive and relaxed in combat against a bigger opponent and allow you to use the attackers force against themselves. The second way is with a lot of hard movements when blocking and striking so that you toughen up your fists, hands, arms and your whole body. 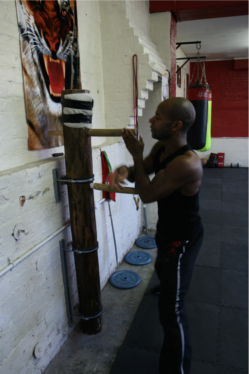 The first aspect when using the Dummy is to learn the 108 Wing Chun Dummy form. Within this form are all the key techniques within the Wing Chun Style. This is why it is such a fundamental part of the style. The problem however is that many people only learn the form as a sequence of movements without truly learning the breakdown and applications of each technique. The application is the key to bringing the movements to life and thus giving you the skill and understanding of using the techniques correctly and effectively. Once you understand the different elements you will actually be more likely to be able to defend and protect yourself. The Wooden Dummy also teaches correct positioning of your arms and hands for good techniques. Once the key points have been learnt you will then be able to flow from position to position in a fluid motion. These arm/hand techniques must of course be tested in other aspects of training which I will cover in future posts. The ultimate point is that once these techniques are developed to a high level you will have enough confidence in a real combat situation if you needed to protect yourself. The next area we are going to discuss in the Wing Chun Style is footwork. In my personal opinion this is one of the most important area’s in any martial arts style or system. The Wing Chun dummy is used as a real opponent and thus one of the main points in Wing Chun is non resistance, not using force against force. Based on this principle the footwork in Wing Chun is very evasive and there is also a lot of turning and side to side techniques which can be employed to redirect a bigger stronger opponent. The final area that we will look at is conditioning. This once again is an essential part of combat because no matter how yielding your style is or how evasive you are in a real fight there is a high probability that you will make full on contact and your fist, arms and legs will clash with your opponent. This can be a very painful experience and if you are not trained or prepared properly you can be badly injured. Therefore the Wing Chun Dummy is also used to harden and strengthen your fist, forearms etc. This will make you fully prepared for combat, not only with skilful techniques but with a strong mind and a trained body. In conclusion the Wing Chun Wooden Dummy is an excellent piece of martial arts equipment in the personal development of your skills and techniques. However in my humble opinion it is important never to limit yourself to one way of training. This can truly limit your growth, make you one dimensional and very predictable. Remember how you train is often how you will fight. Practice hard, stay dedicated and prepare yourself for everything. Based on the statement above, utilise as many different area’s and aspects as you can in order to develop all your skills and techniques to the highest level and use the Wing Chun dummy as a training aid to help improve your skills.